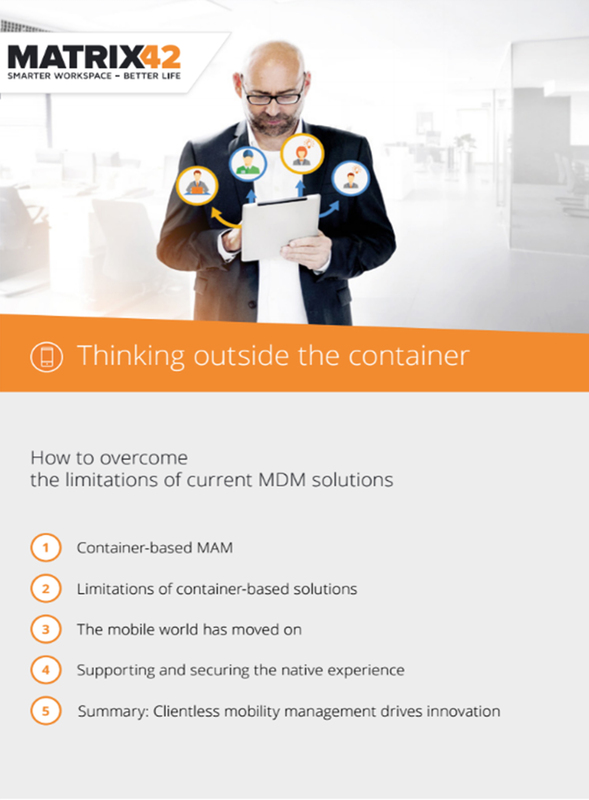 All considered, these numerous disadvantages of container-based MDM/MAM solutions put IT organisations in a very awkward position: From the end users’ point of view, they appear as a “business obstructor” rather than a “business enabler” - and thus exactly as the opposite of what IT actually is expected to do, and is paid for to do. Today, IT organisations need a management solution enabling them to securely and centrally manage business mobility across mobile device platforms while allowing end users to benefit from their native device experience, yet without adding complexity to the mobility management infrastructure and processes. They require a solution which will prove to be an enabler of innovation instead of a hurdle for both usability and administration.